After recovering from my sickness in the first half of pregnancy and finally feeling like myself again, I decided to bust out my sewing machine and try some sewing project for the baby + nursery. 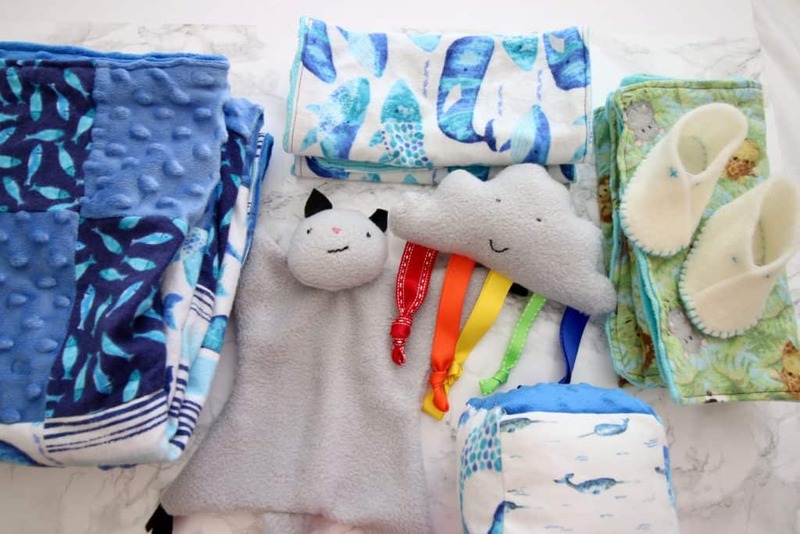 I will preface this by saying that I am a very beginner level sewer and try to focus on straight lines and rectangles, but I had a lot of fun making these simple sewing crafts for the baby. I’m also open to more ideas so hit me up with any sewing ideas for baby! 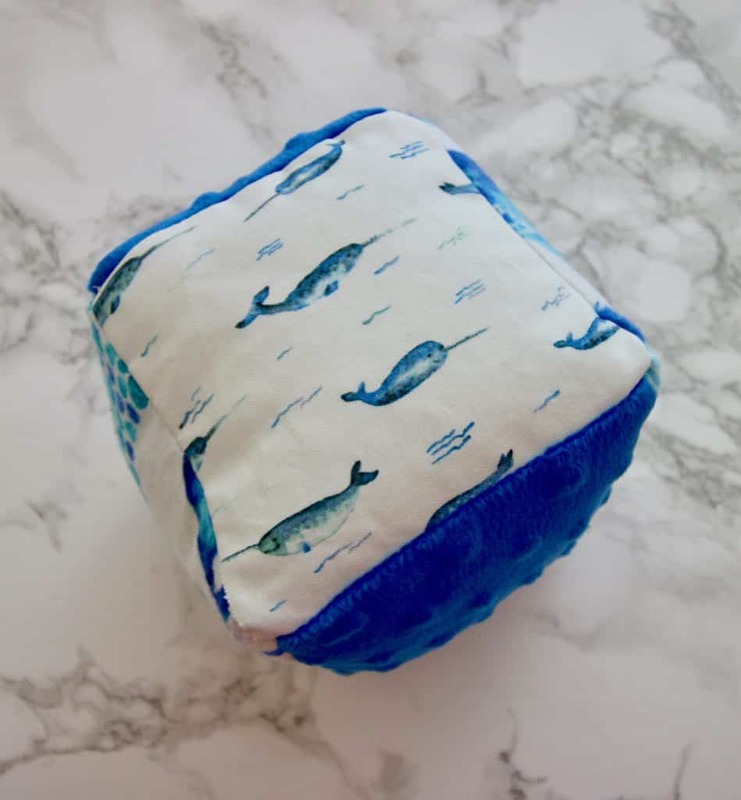 Burp rags – these are the easiest thing to sew for babies. They are just rectangles! You sew a rectangle inside-out, leaving a small gap to turn it right side out like a pillow case, then sew it up again. Here is the pattern that I used. The fabric is minky + “baby flannel” from Joann’s with a coupon. 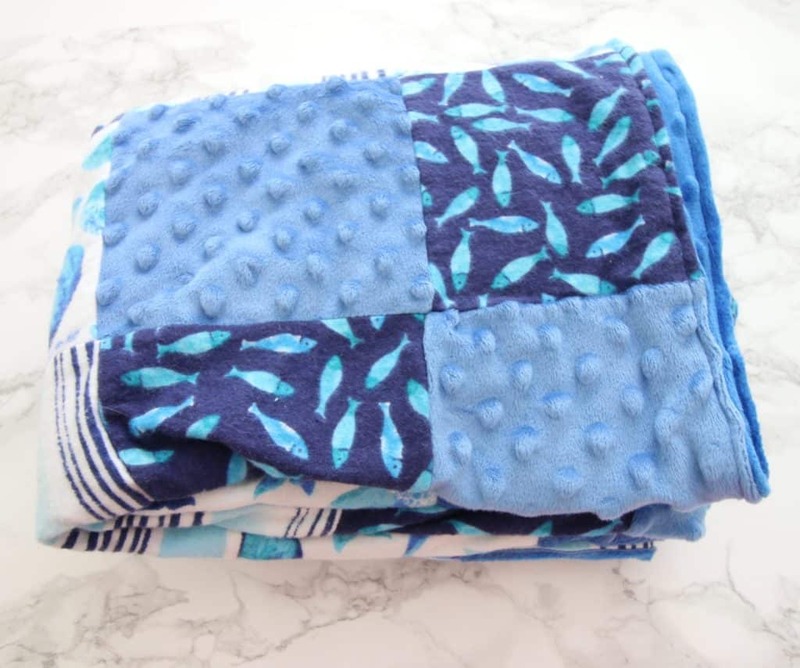 Blankets – I used the exact same tutorial to make a blanket – I just used the entire yard of fabric. The quilted fabric was from the baby flannel section at Joanns and came with that quilted look! It took a while to sew around the whole thing twice (once inside out and once right side out) but it was REALLY easy and will make a nice play mat. Rattle block – I ordered a huge pack of rattle inserts on Amazon and decided to make a few toys that would use them. My suggestion is to use 3-4 per toy for maximum rattling. I used this tutorial to make a cube toy and filled it with pillow stuffing. I initially planned to make a few of these but it was honestly annoying and tedious to sew up all of the edges so I decided to stick to flatter things! 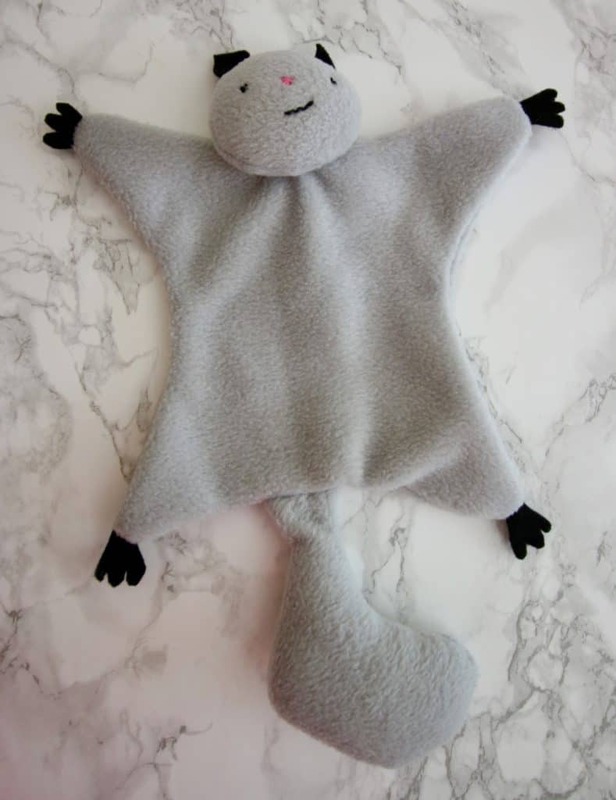 Flying squirrel toy -this was definitely the cutest thing that I have made! I used this pattern which seemed intricate but wast pretty simple. I opted to just hand “embroider” a face instead of adding eyes which I pretty much winged but turned out cute enough. I just wish that I had added crinkle to the squirrel’s body! I also added a few rattles to the head so it does make some noise. 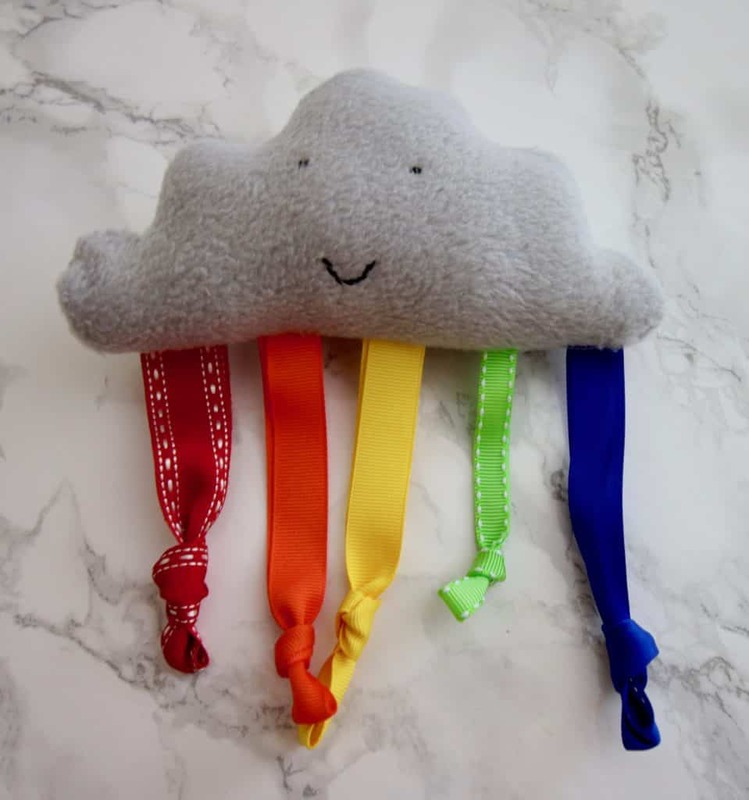 Ribbon cloud – I free-handed this cloud but it was inspired by this guy on Pinterest. I Drew a cloud shape with a flat bottom on paper and cut out 2 fleece pieces – one with the “right side” facing each way. I embroidered a face on one side and then just sewed the whole thing up with the ribbons hanging out and stuffed it with pillow stuffing + rattlers. Very simple and adorable! 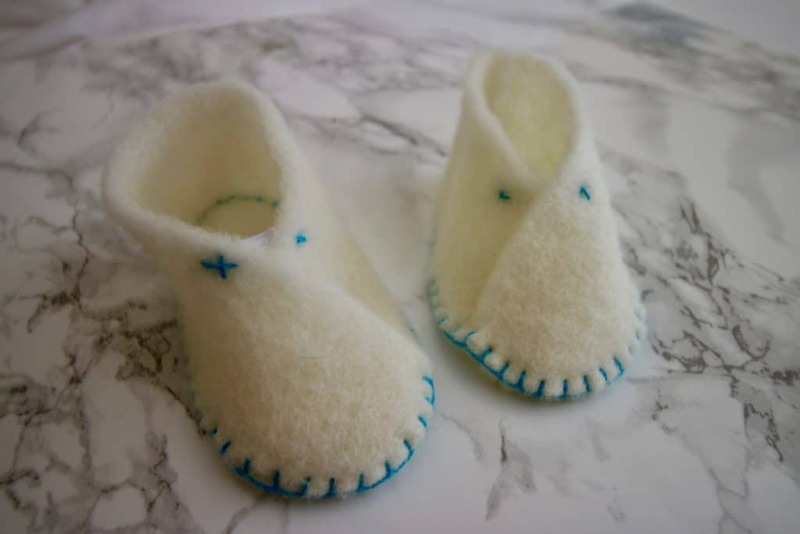 Baby booties – I hand sewed a pair of these felt baby booties and have full intentions of making more! It’s all hand sewing but it was very simple to do. You could use any color of thread or felt, though I recommend wool felt and not acrylic crafting felt, just because it will wear better and is less likely to rip in my experience. Have you done any baby-related sewing projects for beginners? 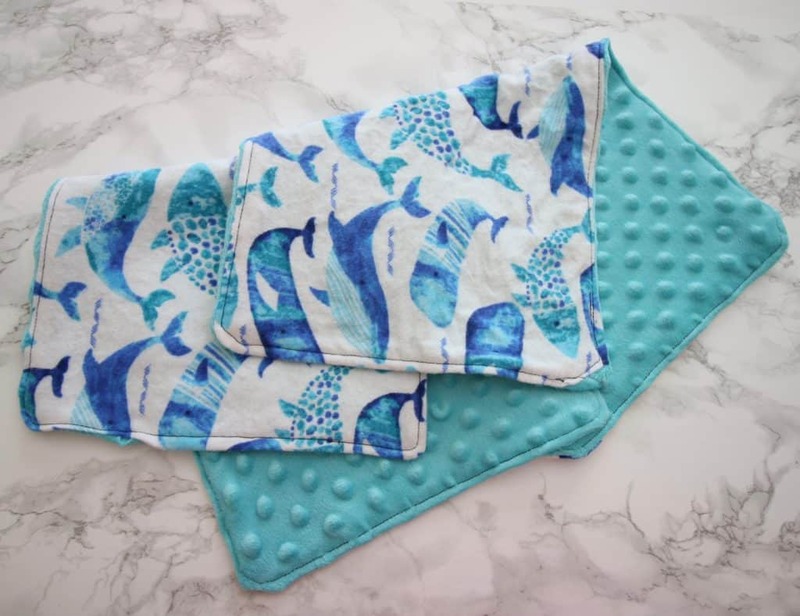 Your burp rags turned out great! Aren’t they so easy! Congrats on your pregnancy and thanks for sharing the link to my tutorial! Thanks for making such an easy tutorial! !